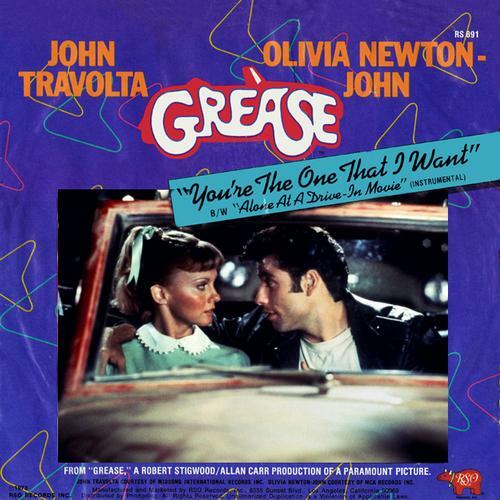 “You’re the One That I Want” is a song written by John Farrar for the 1978 film version of the musical Grease. It was performed by John Travolta and Olivia Newton-John. It is one of the best-selling singles of all time, having sold over 6 million copies among the United States, the United Kingdom, and France alone, with estimates of more than 15 million copies sold overall. “You’re the One That I Want” was one of the two singles Farrar wrote specifically for Newton-John’s appearance in the film that had not been in the original stage musical, the other being “Hopelessly Devoted to You.” Randal Kleiser, the film’s director, was not fond of this song because he felt that it did not mesh will with the rest of the Warren Casey-Jim Jacobs score.